Fox’s serial-killer drama The Following — as good an excuse as any for Kevin Bacon to get into that that primo steady TV paycheck action — premiered last week, but our dude Andy Greenwald wasn’t feeling it. “The Following is a toddler playing Halloween dress-up with a jug of karo syrup and a used copy of the DSM,” he wrote. “Calling it intelligent or adult does a disservice to those who happen to be both. It turns out pushing the envelope solely to shock doesn’t make something edgy; it makes it quite dull.” And now, also not particularly enthused? An actual serial killer! So, apparently there’s a show on Investigation Discovery called Dark Minds, and apparently on this show there’s a serial killer. He’s in prison and everything; the folks over at Dark Minds are not — just not — telling the cops about him so as to more effectively entertain the viewers of Investigation Discovery. His identity is hidden, and his stage name is Raven. Also, he gets cable in his super-max. He gets cable! 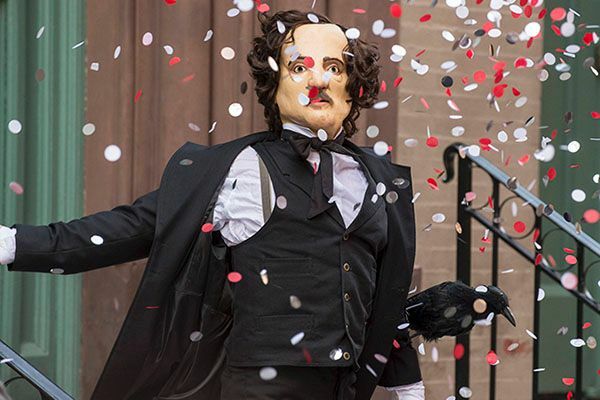 So, according to the New York Post, Raven “decided to watch [The Following] after seeing all the promos leading up to its debut last week.” Also a factor in Raven’s decision, presumably: the fact that it is a show about serial killers, and that he, in fact, is a serial killer. On the show, Bacon plays an ex-FBI dude, now alcoholic and alone and miserable, called back by the Feds to chase down Joe Carroll, an Edgar Allan Poe–obsessed serial killer who Bacon collared in the first place. In the first episode, Carroll’s just busted out of prison, and is busy building a murderer army. Preposterous! quoth Raven. What what what “US REAL SERIAL KILLERS” whaaaaaattttt. What?!! OK, though, wait — yes, this increasing Onion-ization of the world is slowly driving us all crazy, but let’s take a minute and try to appreciate what’s happened here. At some point over the last few months, while checking out the upcoming TV schedule and plotting coverage, scores of entertainment editors at hundreds of media outlets must have seen The Following and had the thought, which they then immediately dismissed: Should we get … an actual serial killer … to review the serial killer show? But the good people at the New York Post? Those fine tabloid creators over at the News Corp building in the heart of midtown Manhattan? Those crazy bastards actually went through with it. God bless them all.